Epcot is constantly evolving to stay one step ahead of the future it's supposed to depict. Even the name has changed. 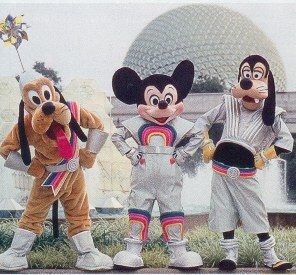 The park was first referred to as EPCOT (Experimental Prototype Community Of Tomorrow) Center. Since December of 1993, the park has been referred to as Epcot-and only the first letter is now capitalized. Ice Station Cool: Opened in July of 1998 and featured a walk through with real snow before leading to a sampling area of Coca-Cola products from around the world, including the infamous Beverly drink from Italy. In November of 2005 the area was remodeled into Club Cool. StormStruck: Innovations East exhibit that opened in August of 2008 and focused on building designs that could withstand weather. It closed on September 13, 2016 along with Sum of All Thrills. Sum of All Thrills: A KUKA RoboSim 4-D Simulator located in Innoventions East that opened on October 14, 2009. It closed on September 13, 2016 along with StormStruck. El Rio del Tiempo: An Opening Day boat ride in the Mexico Pavilion that ran until 2007. It was replaced by Gran Fiesta Tour Starring The Three Caballeros. Kim Possible World Showcase Adventure: From January 28, 2009 to May 17, 2012, you could borrow a "Kimmunicator" and complete missions around World Showcase. The game was replaced by Phineas and Ferb: Agent P's World Showcase Adventure starting in June of 2012. Maelstrom: A Viking boat ride in the Norway pavilion that ran from July 5, 1988 to October 5, 2014. It was replaced by Frozen Ever After. The 70mm film that ran at the exit was called The Spirit of Norway. O Canada! : Circle-Vision 360 film in the Canada pavilion. The film was updated in September of 2007 and is now hosted by Martin Short. Wonders of China: A Circle-Vision film in the China pavilion that ran from Opening Day to March 26, 2003. 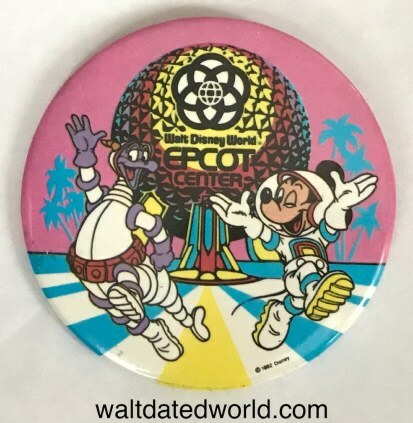 It also ran at Disneyland from 1984-1986. It was replaced by a new film called Reflections of China. 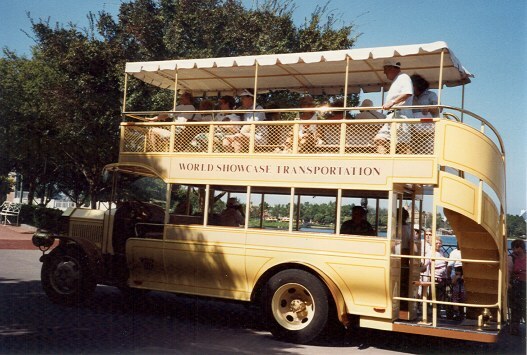 The former Disneyland and Magic Kingdom Main Street Omnibuses were moved to Epcot in the early 1980s to help transport guests around World Showcase. One was later converted to a "Junkanoo" bus and another were used for character interactions. One of the "Characters on Holiday" buses later ended up at the Volo Auto Museum in Volo, Illinois, where it was restored in 2014. On July 17, 2018 (which happened to be Disneyland's Anniversary), two young children crashed the bus into a tree at the museum.